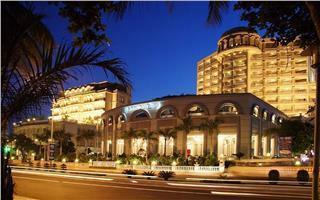 Sheraton Nha Trang Hotel & Spa, one of Nha Trang luxury hotels, is located in No. 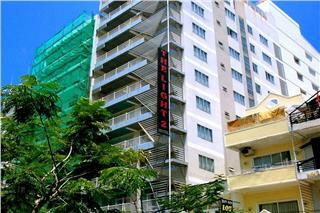 26-28 Tran Phu Street, Nha Trang City. 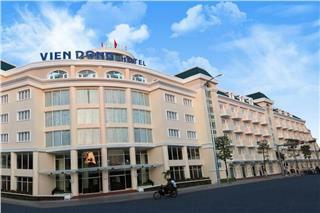 Following the international standards, Sheraton is the newest and the only one hotels in Vietnam Sheraton brand. 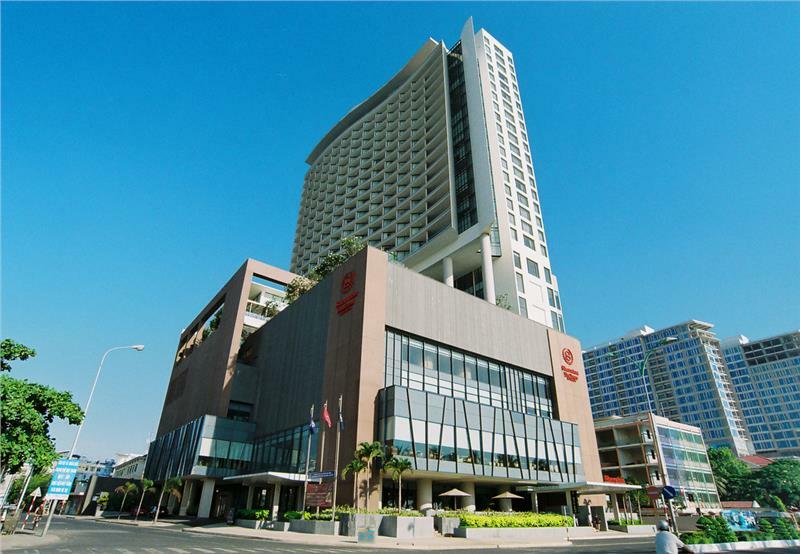 Having 280 luxury rooms overlooking Nha Trang beaches, Sheraton also features with the latest facilities involving 7 modern bars and restaurants, and 1,600 m2 of conference rooms. Besides, there are numerous amenities for your recreation such as Shine Spa for Sheraton, Sheraton Adventure Club, Outdoor Infinity Pool, Sheraton Fitness, Sheraton Club Lounge, Cooking School, and so on. 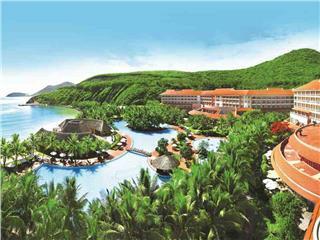 Besides contemporary amenities and professional services, Sheraton is an ideal place for explore Nha Trang City which is known as one of the most beautiful cities in Vietnam with spectacular and emerald beaches. 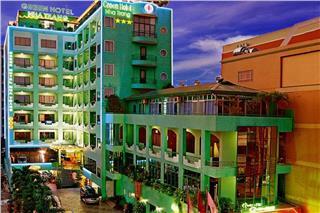 It takes about 45 minutes to drive from the hotel to Cam Ranh International Airport. During your stay, you can visit well-known attraction in Nha Trang like Po Naga Cham Tower, Thap Ba Mineral Hot Spring Centre, National Oceanographic Institute, Hon Chong Promontory, and so forth. With the continuous efforts to improve the quality, Sheraton Hotel is one among Nha Trang hotels receiving good feedbacks from clients. There are 146 Deluxe and 30 Premium Deluxe King which will bring the cozy and intimate ambiance for guests when resting in the hotel. Being decorated with gold and pleasant beige tones, Deluxe Rooms are equipped with ebony furniture and celling-to-floor window, therefore, these room is always full of natural light in the daytime. Deluxe Rooms also offer tourists different choices of one King-size bed or too twin beds and a smoking or non-smoking floors. Located from the 22nd to 24th floor of the hotel, Sheraton Club Rooms are an airy and attractive space to relax with indoor and outdoor seating, complimentary breakfast, a variety of beverage options, and afternoon hors d’oeuvres. 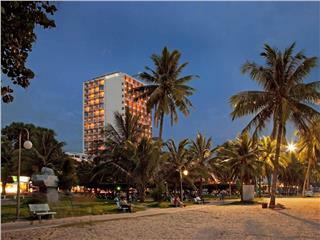 Sheraton Club rooms provide better views to enjoy the beauty of Nha Trang Beach. Choosing this type of room, you can enjoy privileges to use luxury services of Sheraton Club Lounge such as upgraded bathroom’s amenities, access to Sheraton Club Lounge, lighting press of three garment pieces upon your arrival, and enjoy private check-in service. Besides, a copier/fax/printer and complimentary office supplies are always ready for businessmen. There are 2 types of suites involving Executive Suite and Junior Suite. All of them are tastefully and conveniently designed to create a modern space with Asian-inspired style décor. 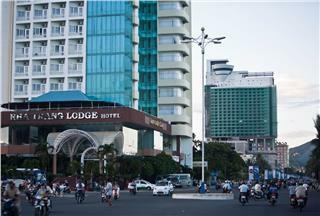 Each suite is equipped with high speed Internet, spacious writing desk, and multi-function phone with 2 IDD phone lines, personal computer outlet to bring comforts and convenience for business travelers. Junior Suites are full of natural lights with a separate living room for welcoming guests. Meanwhile, with Executive Suite, you can organize a small meeting with your friends or colleagues. 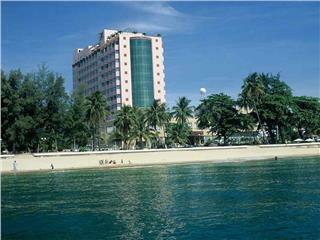 Executive Suite also has a Jacuzzi with stunning views into beaches. Presidential Suite offers a long list of advanced amenities and facilities which set new benchmarks of Nha Trang luxury hotel. Presidential Suite consists of tastefully-furnished kitchen and dining room and a cozy living room with modern entertainment system. The living area features a pantry and dining area for six people to enjoy a private and intimate party. There is also a dedicate area for intimate meetings with full telecommunications equipment. During your stay in Presidential Suite, you can enjoy the warm sunshine and cool breezes of beautiful beaches in a private balcony, savor relaxing moments in a lavish bathroom, or have a deep sleep which will help you release all stress in your life. 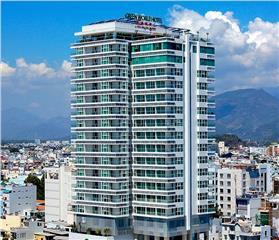 Situated in the 30th floor – the highest floor of Sheraton Nha Trang, Penthouse is accessible via a private elevator. Penthouse is an ideal space for both relaxing and working purpose without losing privacy. Penthouse is very spacious and always full of natural lights. This impressive room features with a living room with contemporary entertainment system and a plush sofa set, a convenient-appointed kitchen, a dining area for 8 people, a separate lounge area, a private balcony for sunbathing or stargazing, and an open communal balcony sharing the same area with another Penthouse. As one of the most spacious living area in the hotel, apartments have the unique architecture bringing a modern lifestyle for guests. The apartment has 2 floors with 2 bedrooms ad 2 separate bathrooms. 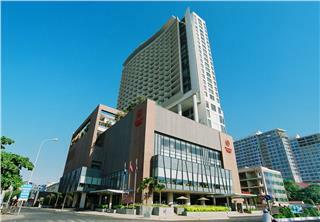 As one of Nha Trang top hotels, Sheraton has a long list of state-of-the-art facilities and world-class services. 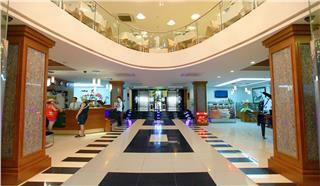 Below are general services and facilities in the hotel. 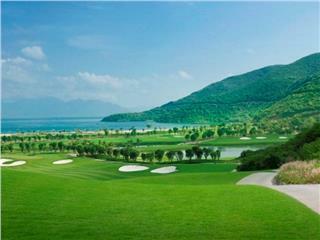 When staying in Sheraton Nha Trang Hotel, one of best hotels in Nha Trang, you can attend in many thrilling activities and recreation. One of the highest bars in Nha Trang, Altitude offers an unforgettable experience with extensive drink selections, light snacks, and a breathtaking view of Nha Trang Bay. It is also an outstanding spot for watching the sun set. As the day closes, this sleek and upbeat lounge is transformed into an inviting gathering spot where pre-dinner drinks or evening cocktails are enjoyed, offering guests a cozy atmosphere right off of our lobby in which to escape the busy world. Parking: Restaurant patrons receive preferred rates. Located on the 6th floor and overlooking stunning Nha Trang Bay, Plunge is a perfect place for guests to enjoy tropical drinks to quench their thirst while swimming in one of the most modern lap pools in Vietnam. Overlooking the lobby, The Wine Bar offers a fantastic selection of wines and spirits. Come enjoy your favorite wine over vibrant conversation or engage your palate by sampling from the international selection in this stylish and inviting bar. Offering the best dim sum and noodles in Nha Trang, Steam ’n’ Spice captures the imagination of all food lovers, bringing great street food and its vibrant atmosphere into the well-designed surroundings of the hotel. Eat in or take away freshly baked homemade cakes, sandwiches and superior fresh-brewed coffee. This modern, chic Italian café has a relaxed atmosphere overlooking Nha Trang's famous bayside boulevard, Tran Phu. 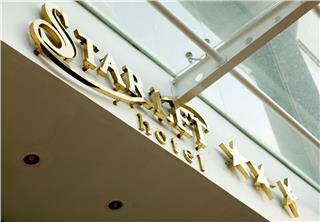 Overlooking the bay, Feast is the hotel's main restaurant for breakfast, lunch and evening specialty theme buffets. Feast's live interactive cooking stations offer exciting local and international cuisine, or choose from an extensive à la carte menu. 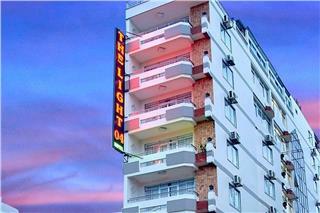 The rates are depending on the time you make a booking and types of room that you book. The more luxurious room, the more you will have to charge. 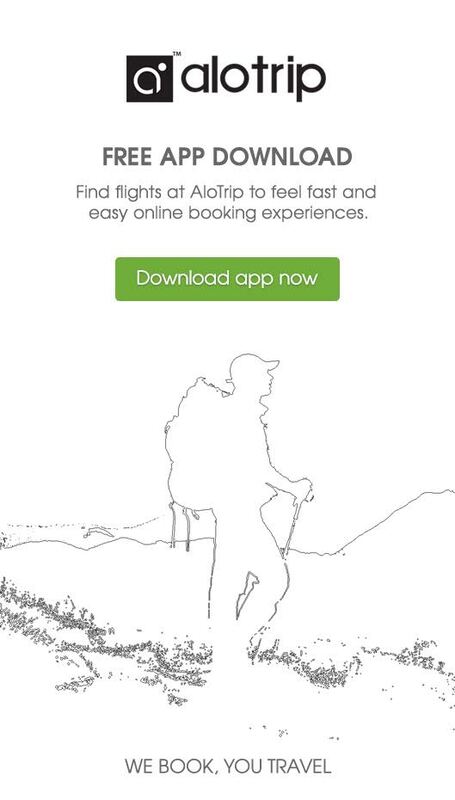 Besides, if you book in a peak season, the price is higher as usual. Please take a slight look at below table for your reference. For detailed and exact information, do not hesitate to contact to us. Children under 3 years old can sleep free in the existing bed. Children between ages 3 and 11 will be subject to a child supplement charge. Guests ages 12 and older will be charged as an adult. For your convenience, you can make payments through credit cards such as Visa, Master Card, American Express, etc.